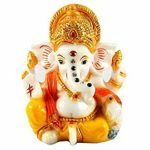 Gajamukhane Ganapathiye Ninage Vandane Lyrics: Gajamukhane Ganapathiye Ninage Vandane is a popular Kannada devotional song about Lord Ganapthi. This song was composed by one of the most sort after music director of Kannada M. Ranga Rao, who had lot memorable Kannada film songs. This devotional Kannada song was written by famous Kannada lyricist Vijaya Narasimha. Gajamukhane Ganapathiye Ninage Vandane song was beautifully rendered by one of the greatest singer of all time S. Janaki. This song takes central stage during Ganesha festival. You can hear this song in every street of Karnataka during the Ganesha festival.